The aim of BVSF is to represent the common interests of independent salvage companies in negotiations with Insurers, Government, European Commission, the Police and indeed any other interested party, to regulate the salvage industry by ensuring its compliance by its members with all relevant legislation to their business operations and with the provision of the Code of Practice applicable to the handling of vehicle salvage and to raise members statuses and standing within the industry. 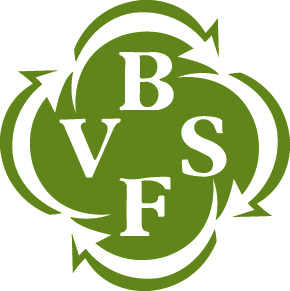 BVSF is currently based near Ashford, Kent and is run by a small secretariat administered by the Secretary General who acts as the voice of the industry in discussions affecting its members and represents their interests in matters which arise of concern to the industry. All actions of the Federation are overseen by a Management Committee currently comprising 12 member representatives. Benefits of membership include discounted parts delivery, insurance, discounted fuel through a fuel card, training, vehicle provenance contracts to name but a few. BVSF provides representation for members’ in any arguments – there is a need for salvage operators to be able to explain their problems and be heard in the right places. Government have made it clear they will only talk to a representative body of a particular industry and will not become embroiled with individual company complaints. BVSF is fully recognised by insurers and Government, and was established to introduce standards into the vehicle salvage industry by enforcing the Code of Practice as well as all relevant legislation as required for membership. The freedom of salvage companies to operate in the commercial environment is constantly being eroded with restrictions being placed on their business operations. Some changes represent sensible and practical controls but all too often proposals arise which could be a hindrance to future development and commercial success. The BVSF provides a central representative body which takes into account the views of its members and deploying them in the best possible way in discussions with the relevant authorities.